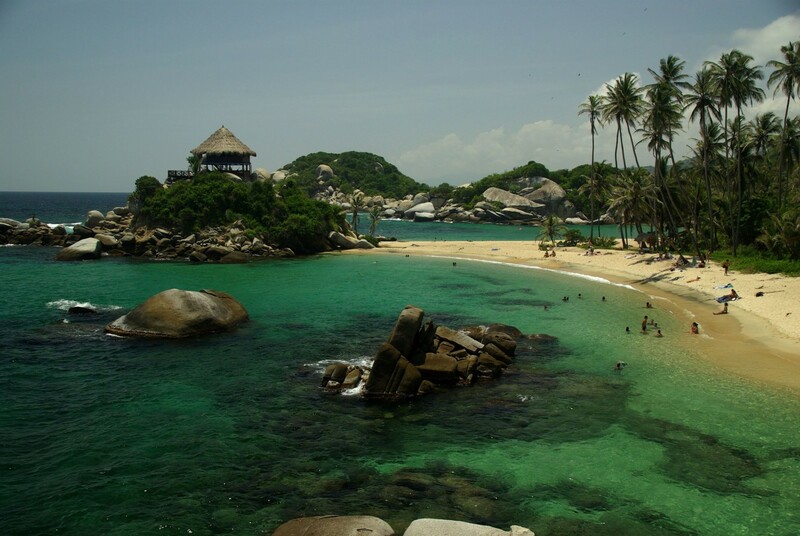 The Tayrona National Park is mainly a protected place in Columbia, North Caribbean region. It is mainly the second most popular National Park in Columbia only after the Rosario and San Bernardo Corals National natural park and in the year 2012 recorded about 293, 502 visitors. The park comprises of a wide existence of flora and fauna and is an endemic to the region of the Sierra Nevada De Santa Marta mountain range. This park is about 30 square km in the Caribbean Sea and about 150 square km of land. As per the reports there are about 350 algae and about 770 types of plants in the park.